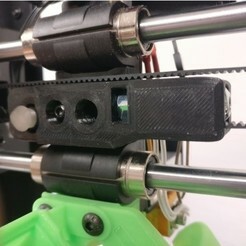 A Y-axis brace and belt tensioner, with consideration taken for the Y motor staying perpendicular to the belt even when using stepper dampers (I recommend dampers to lower noise. 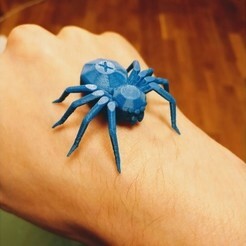 I have tested and not been able to detect any effect on print quality, neither good nor bad). 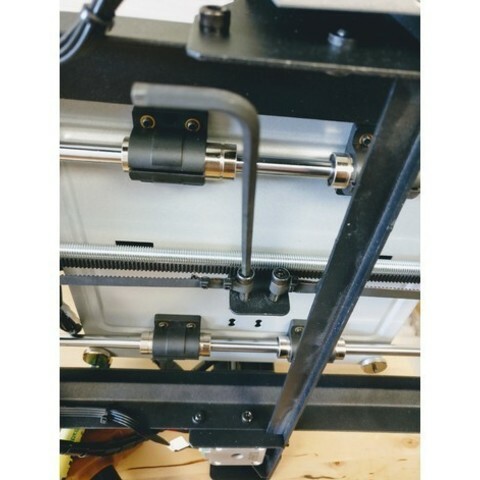 For easy adjustment of the Y axis belt-tension. 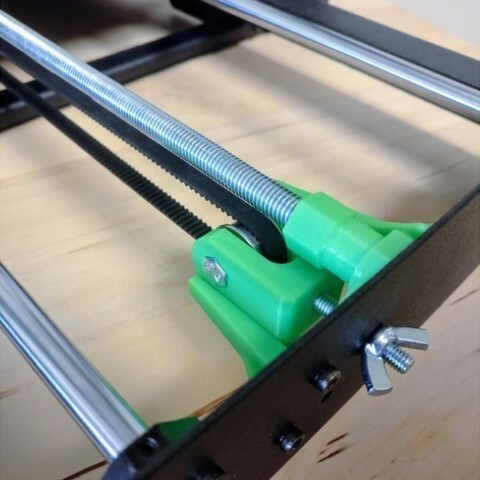 For being able to tighten the Y axis without flexing the frame and throwing the Y motor out of alignment. 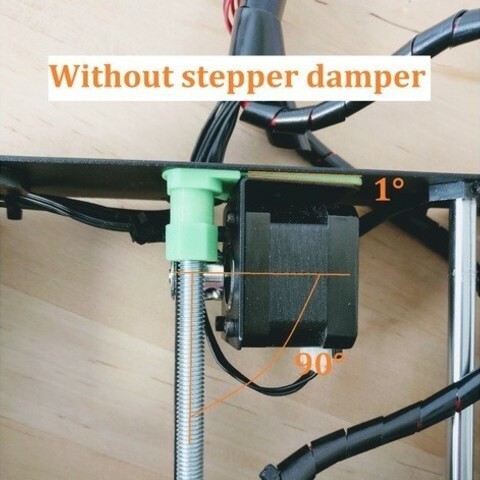 This is especially helpful when using stepper dampers. I use a guitar-tuning app to tune the tension of my belts to 100Hz. Please note that I do not know what the perfect tension is or how accurate the app is. 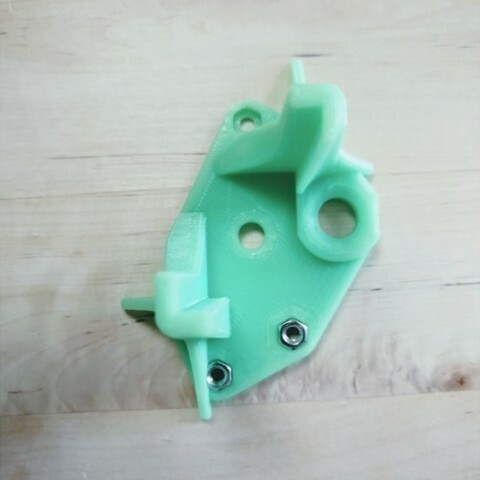 You can use the tensioner without the bracing rod if you drill a hole in the frame for the third M3 screw for the YTensionerBody. 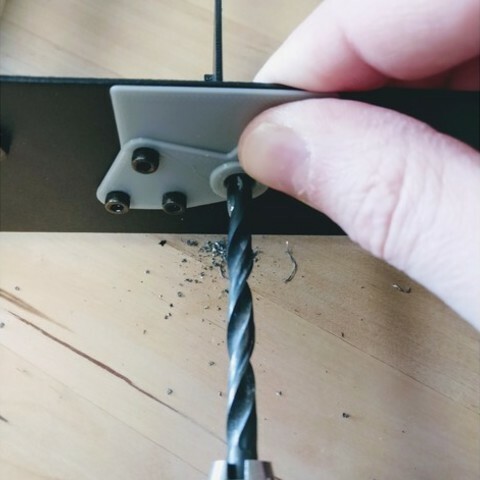 This screw is not necessary with the bracing rod. You can use the stock idler but I provide a second version of the idler holder made for two flanged bearings instead. The flanged bearings require two M5 washers. With a small 1° angle to compensate for the motor bracket bending slightly. 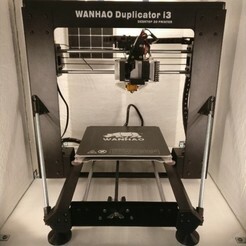 With a larger 3° angle to also compensate for a stepper damper being flexible. One M5 locknut for stock idler or One standard M5 nut for flanged bearings. Two flanged bearings with inner Ø5mm, outer Ø16mm, thickness 5mm (flange Ø18). 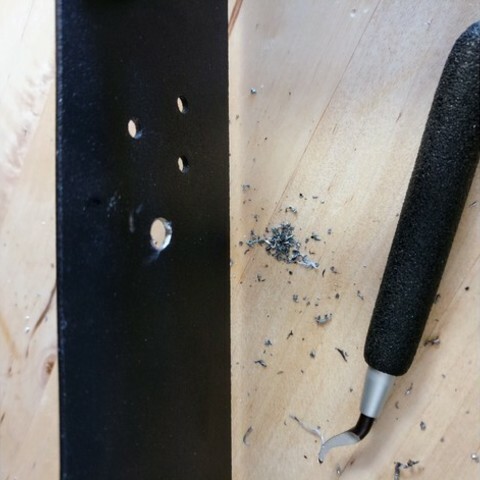 While holding it in place, drill a 3mm hole and then a 6mm hole. 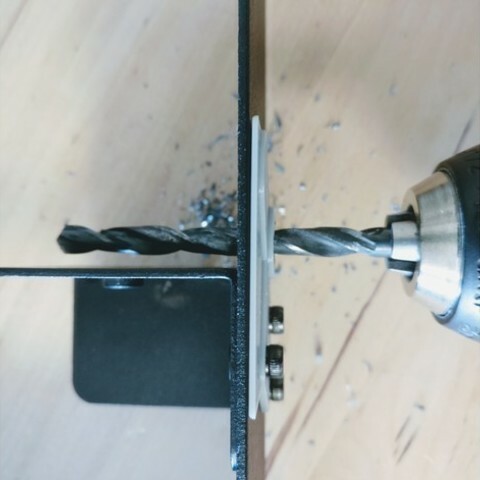 To get a cleaner exit, use a 5.5mm drill before the 6mm hole. De-burr, use a file if necessary. -Insert the M3 nuts in the YTensionerBody, (glue them if you like). 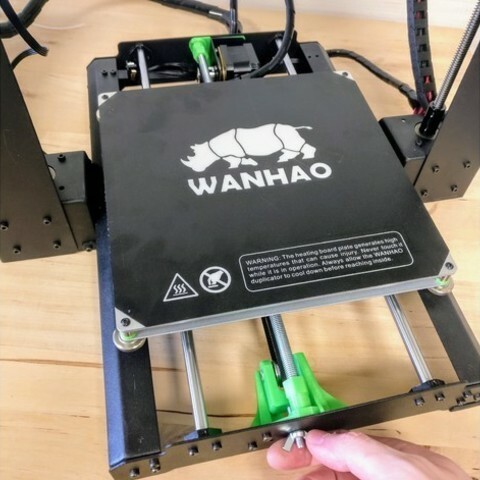 Install it on the frame, it should be level with the upper edge of the frame but 0,5-1mm below. -Assemble the BearingHolder, start with inserting the 30mm hexagonal screw in the bottom and put the belt around the bearing(s). 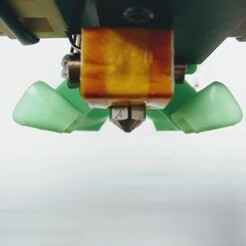 Insert the 25mm hexagonal screw through the Holder and bearing(s). 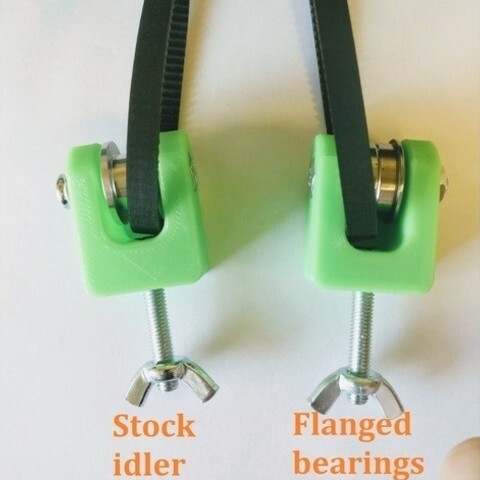 For the stock idler it looks like this: Holder-idler-holder-Locknut. For the dual flanged bearings it looks like this: Holder-washer-flanged_bearingx2-washer-holder-nut. Insert the assembled BearingHolder in the YTensionerBody with the 30mm screw going through the frame and into a (winged) nut. 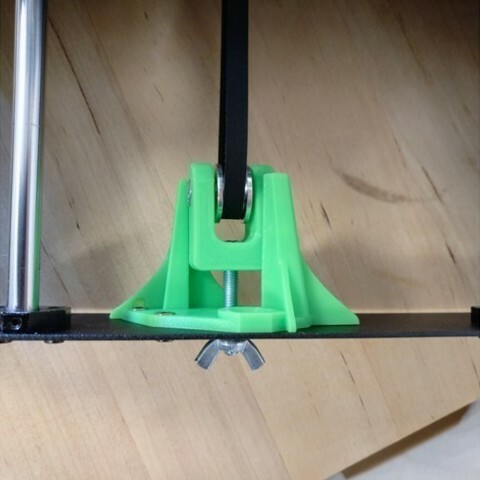 The BearingHolder should have a distance of roughly 13mm (0,5") between itself and the YTensionerBody to allow maximum space for tightening. Don't go further away since it will not be guided well. 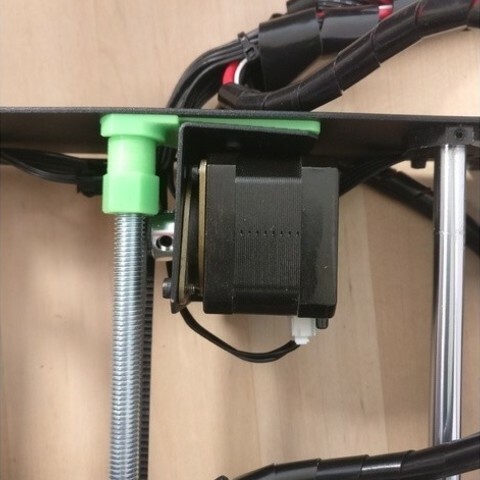 -Remove the the screws holding the motor mount and put a RearBracket between the frame and mount. 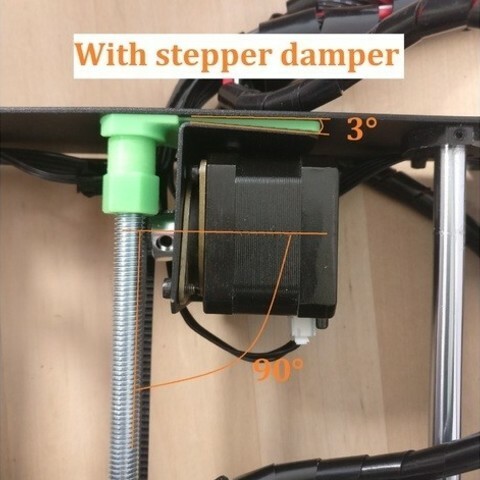 If you use a Stepper damper, choose the 3° version, otherwise choose the 1° version. 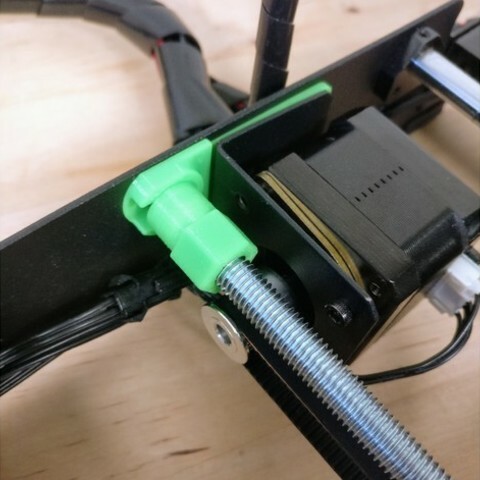 If you use the 3° rear bracket, you can't use all three stock screws but it will still work with only two. 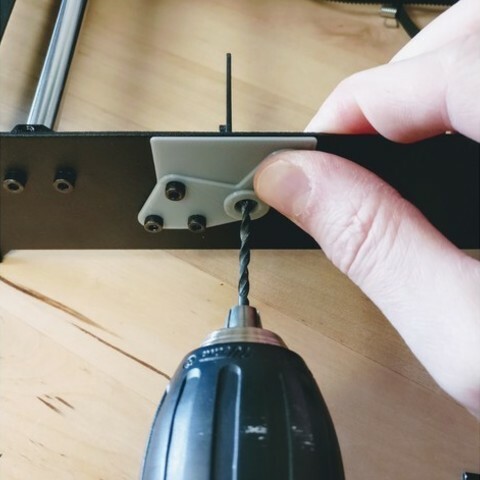 Alternatively, use a longer screw and perhaps some washers to prevent it from touching the motor. -Screw on a M8CenteringNut on each end of the threaded rod and insert in it's sockets. Screw the nuts towards the frame on both ends until it is locked in place. Make sure the belt runs as it should and shorten the belt preliminary. Use only one zip-tie for now. 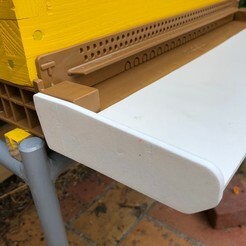 -Start to tighten the belt using the winged nut and watch the frame's front and rear to see if it flexes. Do not over-tighten. If necessary, adjust the M8CenteringNuts until the front and rear is decently straight. Carefully check that no parts is touching the bed carriage while moving the bed by hand (slowly to not generate back-current with the motor). 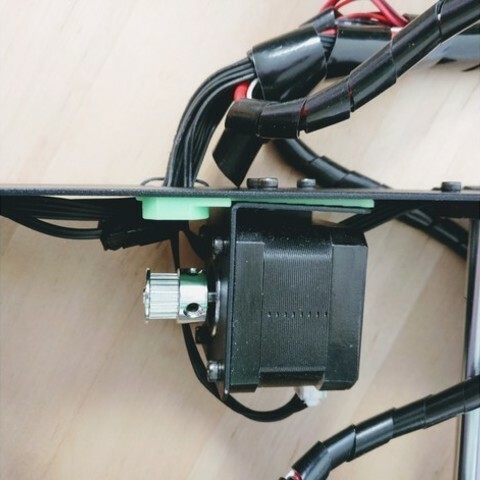 -Check that the motor shaft is decently perpendicular to the belt. To some degree, you can adjust the M8CenteringNuts to intentionally flex the front and rear of the frame to adjust the angle a bit. -When everything is fine, put on a second zip-tie and cut off the excess belt. 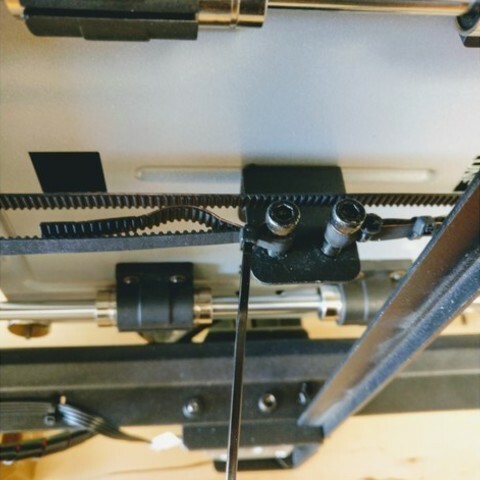 Also adjust the screws holding the belt so that the belt is in line with the motor and idler. 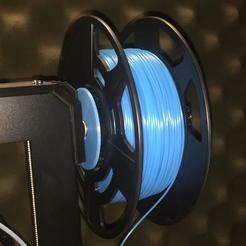 -Print a couple of things and recheck the tension. 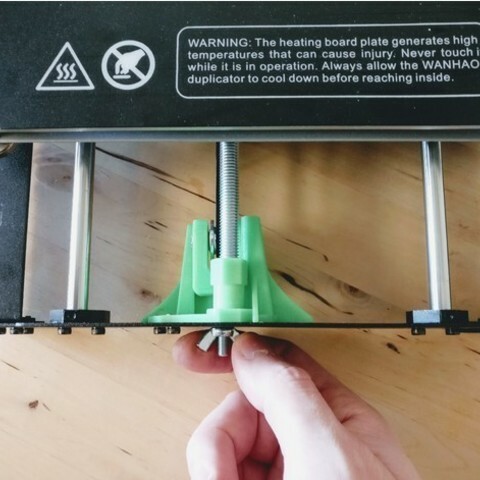 Q: I get a ticking noise from the belt when the bed travels near one end of the printer. A: It is likely that you need to adjust on of the screws that holds the belt under the bed, or the belts position on it. This will prevent the belt from trying to climb the bearing edge/flange.